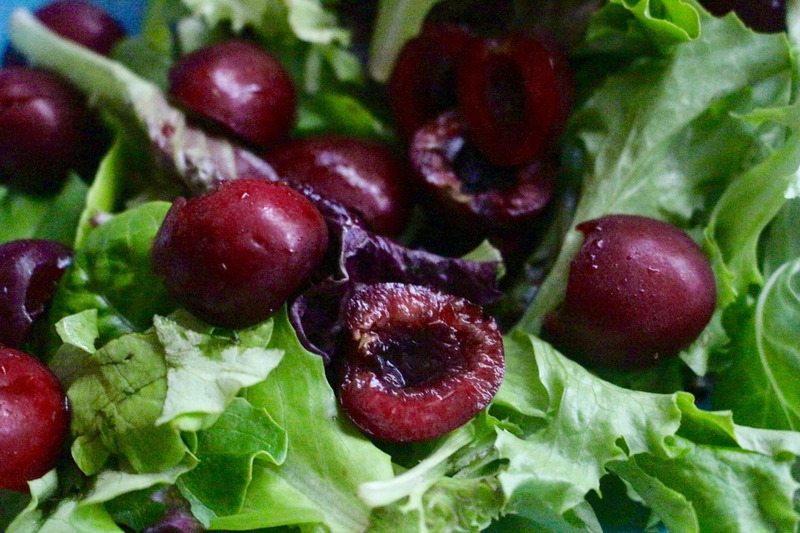 I was looking over my plans for all the lovely cherry recipes I will be sharing this month and realized I didn’t have anything that featured beautiful fresh raw cherries. That obviously needed to change so I came up with this salad! It’s a cinch to make, is tasty and happens to be vegetarian. Since this salad is easy to assemble, you’re going to start by making the vinaigrette. Pour the olive oil, mustard (for those of you like me that don’t like mustard, don’t worry, this just gives the vinaigrette some texture and backbone), balsamic and rice wine vinegars into a small bowl or jar (you know that’s what I used). I used two types of vinegars because I wanted a little bit of the sweetness of the balsamic but not too much since the cherries are already sweet. Whisk (or shake) that all together until everything is combined. Now get out your plates or bowls. This salad makes 2 large dinner size salads, or 4 side salads. Divide the greens up among the dishes. 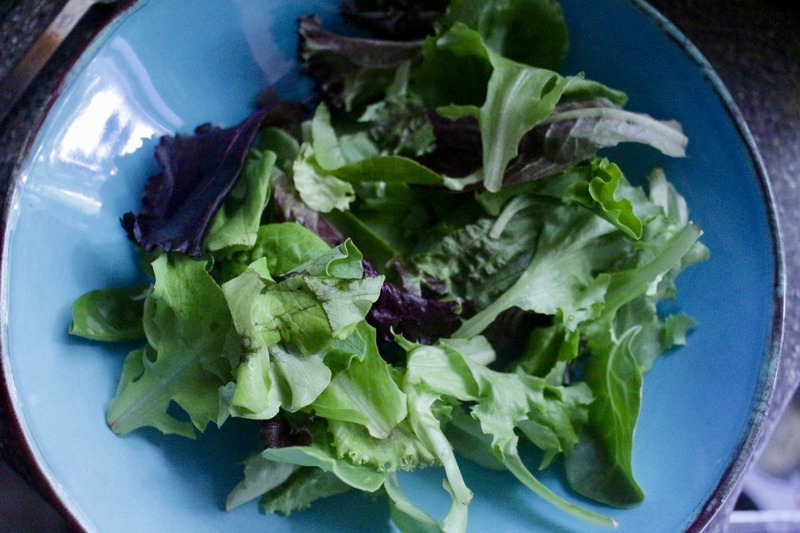 I used a bag of mixed greens, which you should be able to find in the produce aisle at your local grocery store. Now add the cherries on top of the greens. Then sprinkle on the blue and sunflower seeds. 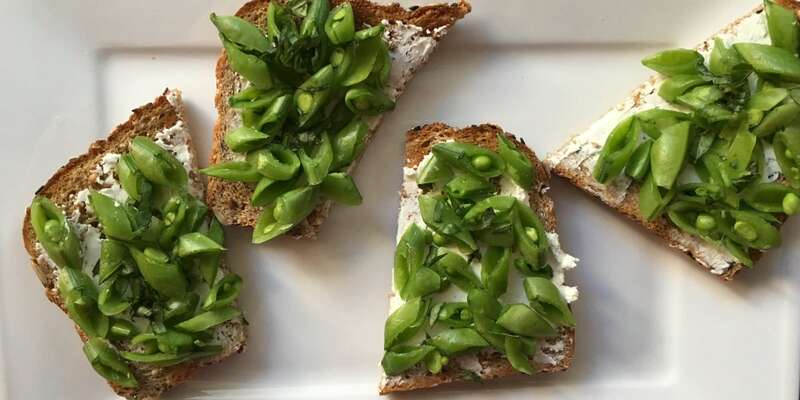 The blue cheese adds a salty and creamy element and the sunflower seeds give it some crunch. Now pour about 2 tablespoons of the vinaigrette over the top of each salad and add more to taste. 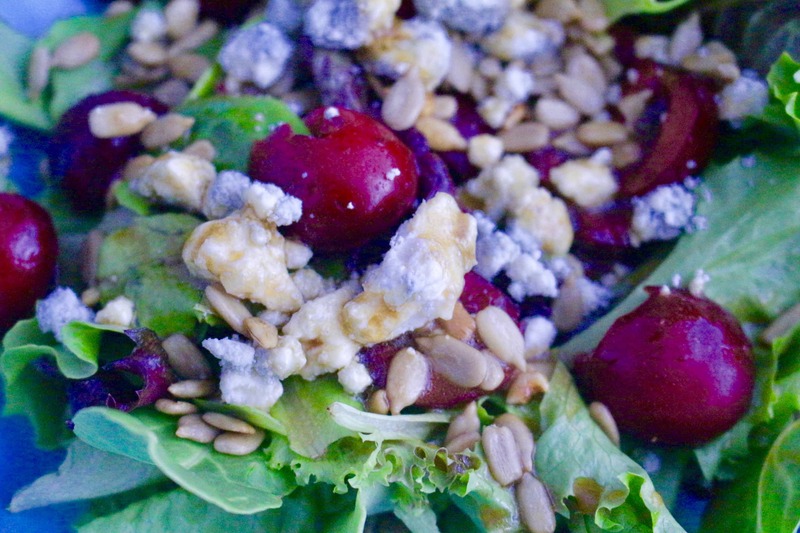 This salad is the perfect meal for this time of year since it’s easy, fresh and light. If you want a more substantial meal, this salad would be a wonderful accompaniment to some grilled salmon. Pour olive oil, mustard,balsamic and rice wine vinegars, and salt into a small bowl or jar. Whisk (or shake) until everything is combined. 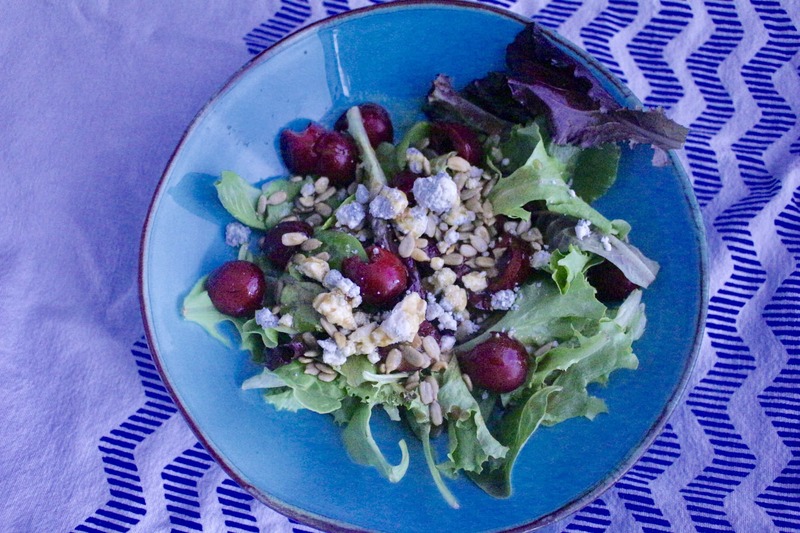 Divide the greens among the dishes and add the cherries on top of the greens. Sprinkle on the blue and sunflower seeds. 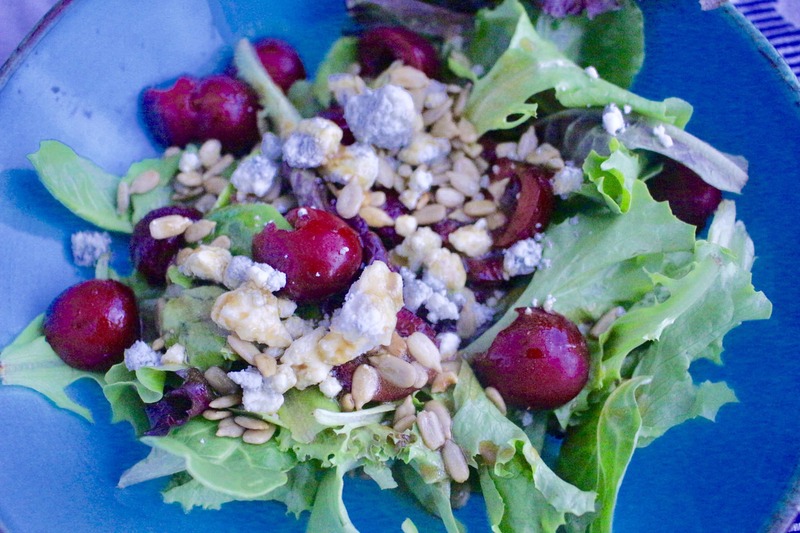 Perfect timing with this recipe since red cherries are now available! I look forward to their arrival (and Rainiers) every year and usually just eat them right out of a bowl. This is a great way to do something else with them.